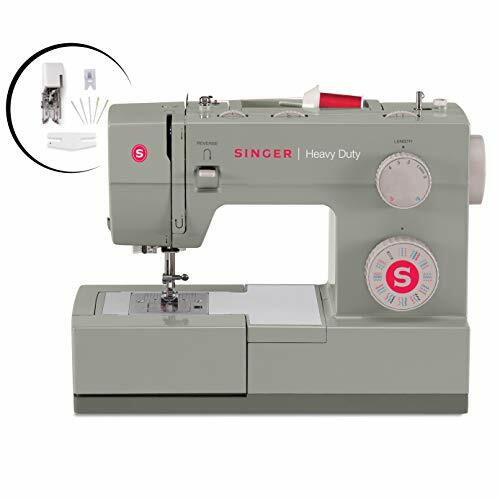 SINGER 4452 Heavy Duty Sewing Machine Accessories 32 Built 60% Stronger is currently selling at $184.98, approximately $3.00 higher than average, giving a potential saving of $8.66 right now. With a lowest price of $165.20 and an average of $181.98 it is selling on the high end of its usual range. Price volatility is 12.78% (meaning it changes all the time), so the price will most likely drop in the next few hours. Right now this product is a recommended 'ok deal'. 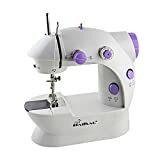 Compare the current price, savings (in dollars & percent) and Buy Ratings for the top Sewing Machines that are closely related to SINGER 4452 Heavy Duty Sewing Machine Accessories 32 Built 60% Stronger. Here is how SINGER 4452 Heavy Duty Sewing Machine Accessories 32 Built 60% Stronger compares with other leading Sewing Machines. Whether you're looking to make garment alterations or to start a new project from scratch, the heavy duty Singer sewing machines and its sewing accessories are an easy-to-use and versatile products. Its automatic needle Threaded is sewing's biggest timesaver, and the machine's 1, 100-stitches-per-minute speed allows you to bring your creative ideas to life quickly. 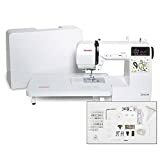 FeaturesSINGER HEAVY DUTY SEWING MACHINE: The SINGER Heavy Duty 4452 sewing machine boasts an array of features that make creating elegant garments and gifts for yourself and others fun and exciting. The Sewing machine with 32 built-in stitches includes 6 Basic, 7 Stretch, 18 Decorative Stitches and 1 Fully Automatic 1-step Buttonholes. A large variety of stitches for all types of sewing and perfect for crafts, home decor, clothing construction and much more!AUTOMATIC NEEDLE THREADER SEWING MACHINE: After following the threading path printed right on the machine, this built-in feature helps you to effortlessly thread the eye of the needle without eye strain or frustration.HIGH-SPEED SEWING MACHINE: The Singer 4452 sewing machine has a maximum sewing speed of 1,100 stitches-per-minute, so projects can be sewn quickly. The 60% Stronger Motor than standard sewing machines allows it to sew through heavyweight fabrics with ease.SEWING MACHINE ACCESSORIES: Four bonus Heavy Duty optimized accessories included: Even Feed / Walking Foot for layers of fabric, Non-Stick Foot for leather and vinyl, a 5-pack of Size 16 needles and a Clearance Plate for thick seams. Plus a variety of must-have accessories are included with all-purpose foot, zipper foot, buttonhole foot, button sewing foot, seam ripper / lint brush, quilting guide, needles, bobbins, screwdriver, auxiliary spool pin, spool pin felt are all conveniently located and stored in the accessory tray. A soft-sided dust cover is also included in the packaging.